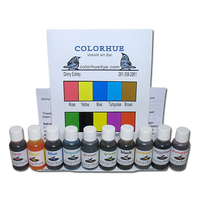 Using COLORHUE dyes is easy, fast and efficient because they require no setting procedures, such as timing prerequisites or heat processes in order to complete the coloring. 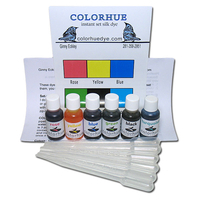 This dye does not require powders to mix or any additional chemical additives to augment the liquid dye. The only additive needed is plain tap water to dilute the concentrated liquid colors.